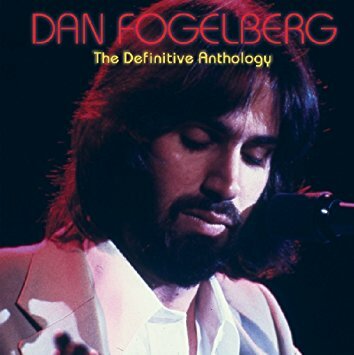 The Music of Dan Fogelberg has been in the background of my life for the past forty years or so. It has provided a pleasant, if not important listening experience. My most important memories of Fogelberg was not his music but the blog he published while fighting an ultimately losing battle with cancer. It was a gritty, moving, honest, and in some ways frightening chronicle of his last years. His catalogue of music has been re-released in every form possible. The Daily Vault has reviewed just about his entire output. Now The Definitive Anthology has been issued. This 2-CD release gathers 28 of his best-known, and a few not so well-known songs, scrubs the sound clean, provides a compact history of the music, into one package. I’m not sure this release is any more essential than several of his previous compilation packages but it is a fine overview of his career, especially if you are seeking an introduction to his music. I tend to prefer his up-tempo songs such as “The Language Of Love” and “Part Of The Plan” to his slower more popular material; “Longer,” “Heart Hotels,” and “Same Old Lang Syne,” but all sold millions of copies and received extensive radio play. His lesser known studio material remains interesting and in some ways is more creative than many of his popular hits. “Phoenix,” “Tucson Arizona (Gazette),” “Nexus,” and “Magic Every Moment” are layered and intricate creations. There are several inclusions that take him in a different direction. A rare cover song, The Cascades old hit “Rhythm Of The Rain,” has a smooth vocal delivery with a brass section in support. His hit “The Power Of Gold” with flautist Tim Weisberg and vocal harmonies by Don Henley of the Eagles was a unique stop in his career. The album ending fusion of his “Leader Of The Band” with “The Washington Post March” is a creative mix. Dan Fogelberg produced bright, melodic, well-constructed, and at times introspective pop music. The Definitive Anthology is a good look at some of the highlights of his career. Mick Kolassa and Mark Telesca are bluesmen to the core, who have been honing their craft for decades. Through constant touring, releasing albums, and appearing as sidemen on countless albums released by friends, they have achieved the respect of their peers and a degree of commercial success. They engaged in an impromptu jam session at the 2016 Blues Music Awards. They fused the blues with a number of Beatles songs. That ultimately led to their new album You Can’t Do That, which are acoustic blues versions of 11 songs by John Lennon and Paul McCartney. Kolassa and Telesca are both guitarists and vocalists, but they added additional guitarist and album producer Jeff Jenson to the mix, which gives the music extra depth and textures. They then added a harmonica here, a fiddle there, and even a trumpet to fill in the gaps. It is a tight album as they stay true to the length of the songs. They improvise within the structure of the compositions and do not go on any extended journeys. They also delve a little deeper into the Beatles catalogue. They chose songs that were adaptable to their style of blues rather than just selecting their best-known songs. “I’ll Cry Instead,” “Fixing A Hole,” “She’s A Woman,” and “Mean Mr. Mustard/Polythene Pam” are perfect for their bluesy guitars and intricate picking. They are more adventurous on some of the Beatles up-tempo numbers. “Can’t Buy Me Love,” “Lady Madonna,” and the title track are twisted out of shape, plus they play with the tempos. 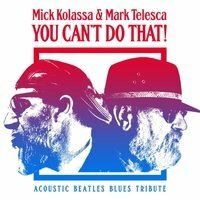 Mick Kolassa and Mark Telesca have managed to recreate a number of Beatles songs in ways that have not been previously explored, which is quite an achievement in itself after all the years. You Can’t Do That is worth a listen for any fan of the Beatles or the blues. 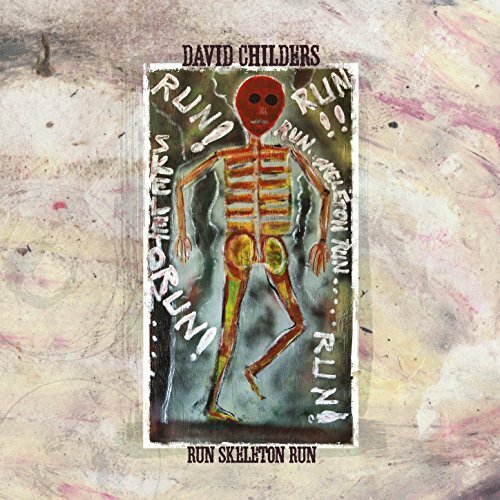 David Childers is the O. Henry of Musicians. Each song on one of his albums is a short story that holds your attention and leaves you wanting more. He has returned with his new album titled Run Skeleton Run. Childers took a convoluted journey to becoming a musician. He was a football player, poet, painter, and practiced law. He gathered life-experiences along the way, which are incorporated into his music. His last album, 2014’s Serpents Of Reformation, focused on religion. Now he has moved on to aging and fate, and all the skeletons that go along with those subjects. His music runs from blue grass and country to rock and roll and a little blues. Still it is his stories that draw you in. Run Skeleton Run is an interesting album to explore and enjoy and you don’t even have to turn the pages. Big Star was one of those bands whose influence was far greater than their commercial success. Formed in 1971 by Alex Chilton (1951-2010), Chris Bell (1951-1978), Andy Hummel (1951-2010), and Jody Stephens, they have influenced a generation of alternative rock and indie bands who have followed them. Known for their precise harmonies, jangling music, and incisive lyrics, they left behind a small but brilliant number of album releases. Their legendary third album, which was basically just Chilton and drummer Stephens, sat on the shelf for a number of years before its release. It was a complicated work, complete with strings, and had never been totally reproduced live. 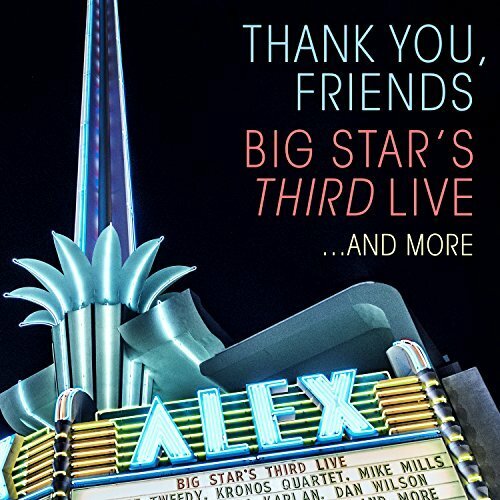 Chilton’s death in 2010 set in motion a series of events that led to its recreation and this release, Thank You Friends: Big Star’s Third Live…And More. Shortly after Chilton’s death, a number of musicians including Chris Stamey (The dB’s), Ken Stringfellow and Jon Auer (Posies), Mike Mills (R.E.M. ), Mike Easler (Let’s Active), and original Big Star drummer Jody Stephens performed a full-orchestrated version of the third album in Charlotte, North Carolina. They then took the show on the road. This culminated with a recorded concert at the Alex Theatre in Glendale, California, in April of 2016. Added to the mix were Robin Hitchcock, Benmont Tench, and the Kronos String Quartet. The concert included material from the bands entire career but its foundation is their third album. The music goes beyond the simplicity of many Big Star performances. The enlarged band and the presence of a string section help to explore the full musical vision of Alex Chilton. They are able to present the textures, layers, and sound that up until now were only present on the studio version. In many ways it is superior to the original music as it is both modernized and expanded. Big Star, especially its early incarnation, shall not pass this way again. The music left behind, particularly from its third album, has now taken on new life courtesy of some friends and devotees. A must listen for fans and a good stand alone release for anyone who likes creative rock and roll. Willie Nelson is like Old Man River; he just keeps rolling along. At the age of 84, he has returned with one of the better albums of his career titled God’s Problem Child. Lately he has relied on cover songs and albums dedicated to other people’s music, but now all 13 tracks are newly recorded songs, including seven co-written by Nelson. While my copy of the album is on vinyl with a crystal clear sound, it has also been released digitally and as a CD. Nelson is now considered an American musical icon. His voice is instantly recognizable and he has the ability to interpret songs from many different styles. His voice may have lost a little of its power but he makes up for that fact with wonderful phrasing. His new album travels in a number of directions. There have been a number of reports Nelson’s death and “Still Not Dead” is his making fun of the situation. The more serious “Delete and Fast-Forward” are his thoughts about the recent Presidential election. There are two tracks that reflect his age. The title track includes a vocal performance by Leon Russell, in what may have been his last performance before his death. The album’s final track, “He Won’t Ever Be Gone, is his eulogy to friend and fellow-country musician Merle Haggard. Perhaps the best track is “Little House on The Hill.” It was written by the 92 year old Lyndel Rhodes, who is the mother of producer Buddy Cannon. It is a classic Nelson performance. That Willie Nelson is still recording and performing about 100 concerts a years in his mid-80’s is remarkable. That he is able to create such a high quality album is a testament to his talent as one of country music’s most creative musicians. 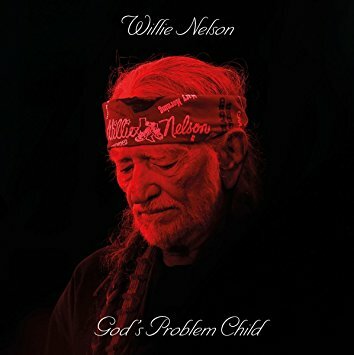 God’s Problem Child is a must listen for his fan base and lovers of country music. Jaco Pastorius, 1951-1987, was one of the more influential bass players of the last half of the 20th century. His fusion of Latin funk with jazz, his use and development of harmonics, and his innovations with a fretless electric bass set him apart from his contemporaries and influenced a generation of bass players who followed him. He worked as a side man; check out his work on Joni Mitchell’s four jazz oriented albums, 1976-1980, a member of Weather Report, 1976-1981, and as the leader of his own group. He recorded his second solo album in 1980 titled Word Of Mouth. On June 27, 1982, he brought his Word Of Mouth band, harmonica player Toots Thielmanns, and a bevy of brass players for the concert at Avery Fisher Hall in New York City. Parts of the concert were broadcast on radio but now 30 years later the entire performance is being released. 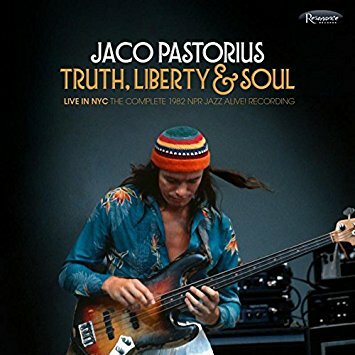 Truth, Liberty & Soul: Live In NYC, The Complete 1982 NPR Jazz Alive Recordings is over two hours of Pastorius at his innovative and ground-breaking best. The 2-CD edition includes a 100 page book and 19 essays and interviews. The sound has been remastered and has a wonderful clarity. His live performance finds him in a rare big band setting. Listening to songs such as “Sophisticated Lady” and “I Shot The Sheriff” take on new textures when a bass is the lead instrument. The 14 minute extravaganza “Bass And Drum Improvisation” is the holy grail for just about any bass player. When Thielmann’s harmonica is added to the mix, it adds a unique counterpoint to his bass. Jaco’s studio albums are a treat but this live album is an exploration of his musical vision. The live setting and his spontaneous improvisations are a perfect setting to appreciate just how innovative a musician he was and this album captures him at the height of his power. Truth, Liberty, & Soul: Live In NYC is a must for jazz aficionado’s and particularly bass players. Jim Roberts has had two distinct periods to his music career, divided by 16 years as a police officer and raising a family. Before leaving the music scene he opened for such acts as Ricky Nelson, Della Reese, and Danny O’Keefe. He even made a television appearance on the Mike Douglas Show during the 1980’s. 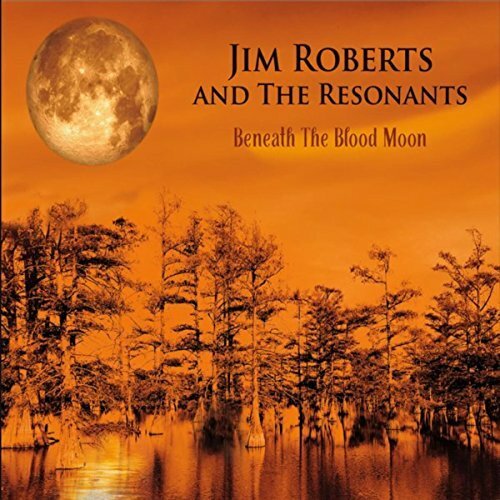 Today he is firmly entrenched in the blues, who backed by his band The Resonants, has just released his new album Beneath The Blood Moon. He is an excellent slide guitar player but it is his expertise with a three-string cigar box guitar that defines his sound. It gives his sound a more primitive feel, which is an important part of his approach to the blues. Roberts music is direct and hard-hitting. Songs such as “Dog Done Bit My Baby,” “Gold Train Fever,” “Dark Down The Delta,” and “The Hell Hounds Due” are all energetic excursions in the realm of the blues with some stops in Americana and roots rock. Jim Roberts has re-invented himself as a first class bluesman. If you like your blues direct and at times raw, then Beneath The Blood Moon is an album for you. “We skipped the light fandango, turned cartwheels ‘cross the floor, I was feeling kinda seasick, but the crowd call out for more.” So begins “A Whiter Shade Of Pale,” in 1967, which propelled Procol Harum into the rock and roll limelight. They will now release their 13th studio album Novum in celebration of their 50th anniversary. Procol Harum, beginning with their self-titled debut album in 1967, issued a series of albums including Shine On Brightly, A Salty Dog, and Live In Concert With The Edmonton Symphony Orchestra, which combined elements of classical music with what would be shortly recognized as progressive music. While musicians such as Robin Trower, Keith Reid, and Matthew Fisher have passed through the band, the one constant has been vocalist/songwriter/pianist Gary Brooker. The band now includes long term members Geoff Whiteman, Matt Pegg, and Geoff Dunn, plus lyricist Pete Brown of Cream fame. They have wisely chosen not to re-invent themselves or their sound on their new release. In many ways the music is less complex but more melodic than in the past. Their ability to create a sound that allows the listener to just drift in the music remains intact. Brooker’s voice shows some wear after 50 years but he is still capable of providing a smooth listening experience and he has wisely surrounded himself with a group of veteran musicians who have coalesced into a tight band. Brown adds some new dimensions and sophistication to the lyrics, which is welcome. His presence puts the emphasis more on the lyrics than the music, which is a new direction for the band. 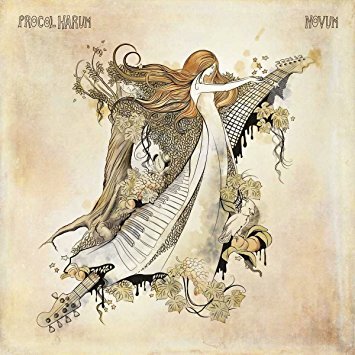 Novum shows that Procol Harum is still relevant as a band after a half-century on the road and in the studio. It is at its foundation, an album of solid rock and roll.